Well-informed physicians can no longer rely solely on their own knowledge and experience when making pharmacotherapeutic decisions. Health care professionals increasingly need to make use of supporting information systems, such as Prescriptor. This is comparable with a society that relies increasingly on real-time navigation systems, despite the traditional road maps, street plans and directions. 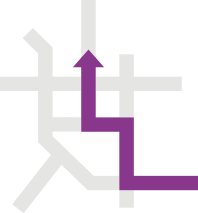 This parallel gains relevance in the prescription of medication: on the one hand, physicians want to provide the best possible proposal for a route (regular guidelines), while on the other hand, road works, detours and traffic jams (specific complications) impact the choice of the route. Both information streams need to be incorporated: real-time, on the work floor and during the prescription process. Prescriptor provides support within pharmacotherapy, by combining regular guidelines with considerations that are specific for each individual. This is all done without limiting the freedom of choice and autonomy of the prescriber. It remains possible for prescribers to follow their own intuition and enter or change prescriptions.